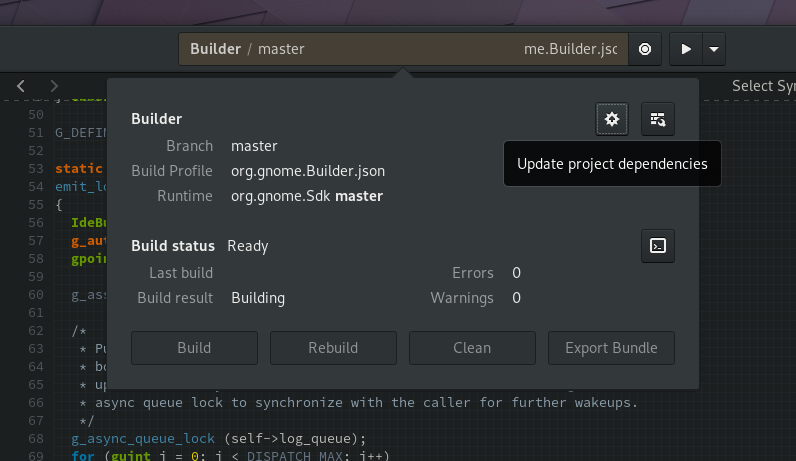 Builder now creates a recursive directory monitor so that your project’s source tree can be updated in case of external modification, such as from a terminal. If you need a recursive directory monitor, the implementation can be found in libdazzle. The project tree now supports basic drag-n-drop. You can drag within the tree as well as from external programs supporting text/uri-list into the project tree. Nautilus is one such example. The project tree can now query the VCS backend (git) to provide status about the added and changed files to your project. 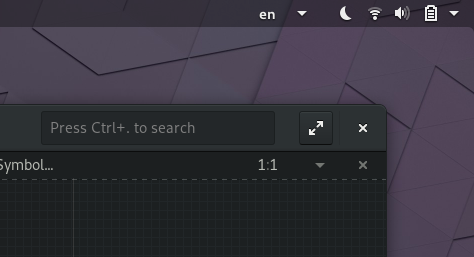 You can drag text/uri-list drag sources onto the editor grid and place them as you like. Drag to the top or bottom to create new above/below splits. Drag to the edges for left/right splits. Sometimes you might want to peek into the build pipeline to get a bit more insight. Expand the “Build Details” to see the pipeline stages. They’ll update as the build progresses. 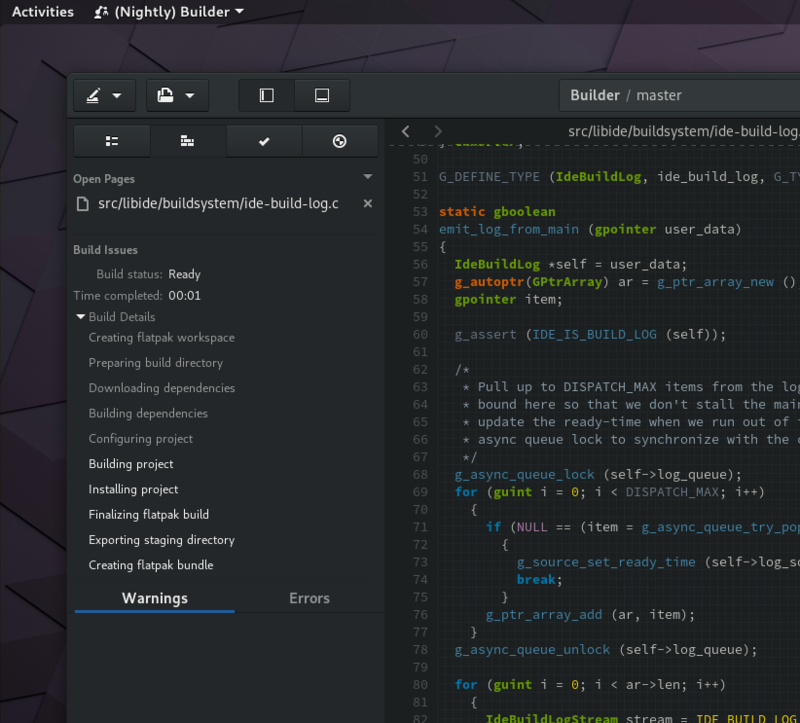 We want to ensure we’re doing less work when Builder starts-up. That means we won’t auto-update dependencies before long. In doing so, you’ll have to choose to update your dependencies when it makes sense. We might as well make that easy, so here is a button to do that. It currently supports flatpak and Cargo. We focus more on “contextual” menus rather than stashing things in the window menu. So much that we’ve managed to be able to remove the “hamburger” menu by default. It will automatically display should any enabled plugin use it. Lots of bug fixes too, but those don’t have pretty pictures. So that’s it for now!